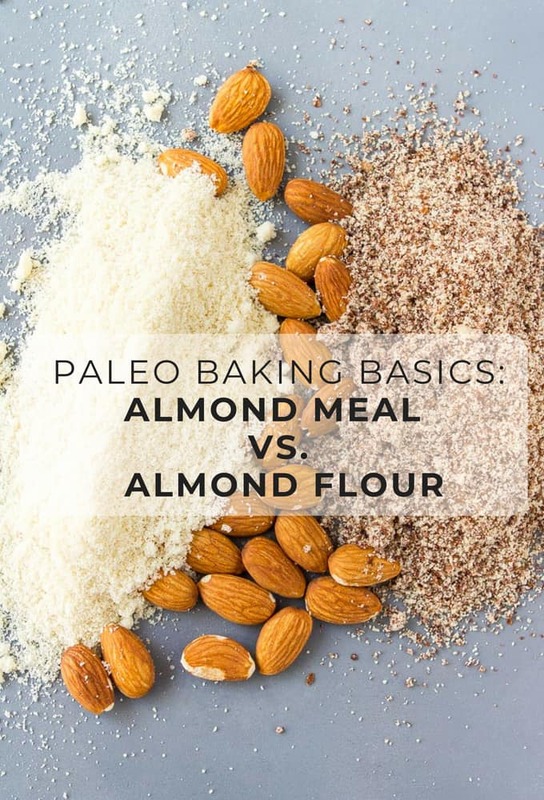 In this, the second installment of the Paleo Baking Basics series, we’re picking up where we left off last time, and talking more about almond flour, including how to distinguish almond meal vs almond flour, and how to make almond flour at home. One of the most common ingredient questions I hear is whether you can substitute almond meal and almond flour for one another. The short answer is yes – but there’s more to the story. Almond meal and almond flour are two labels for gluten free flours made from finely ground almonds that are often used in paleo and low carb baked goods. A product labeled almond flour will often be more finely ground than a product labeled almond meal. A product labeled almond flour will often (but not always) be lighter colored because it is made from blanched (skinned) almonds. A product labeled almond meal will sometimes contain brown specks, because it is made with almond skins and meats. This will affect the texture and flavor (slightly) of your baked goods. A product labeled blanched almond flour will usually be the most finely ground type of almond flour/almond meal because it does not contain the skins. That’s because almond meal vs almond flour is an arbitrary distinction. What you’re really looking for is the finest-ground almond flour that you can find. The more finely-ground your flour, the more it will resemble wheat flour in the final product, meaning a soft consistency and a dense, non-crumbly texture. Blanched almonds yield a finer flour than unblanched almonds, which is why most of my recipes call specifically for blanched almond flour (which is what’s pictured above 👆), and often tells you not to use raw almond flour or unblanched almond flour. Why does it matter? Blanching means removing the rough skin of the nut to reveal the smoother, more mildly flavored meat inside. The meats alone are easier to grind into a lighter, finer flour that makes for a less nutty flavor and less gritty texture. Blanched almond flour is better for breads, cookies, cakes, and other baked goods. I don’t use raw almond flour often, but when I do (because almond skins have plenty of health benefits), it’s best in meatballs, chicken fingers (as breading), etc. So don’t worry about whether you need almond flour vs almond meal for your recipe. Instead, think about whether your recipe would benefit from using blanched vs unblanched (raw) almond flour. Let me preface this by saying again that, for baking, I recommend store bought almond flour – which you can easily find on Amazon, or at Costco or Whole Foods. But for using almond flour as a binding agent (like in meatballs) or as a replacement for bread crumbs, you can use homemade almond flour in a pinch. 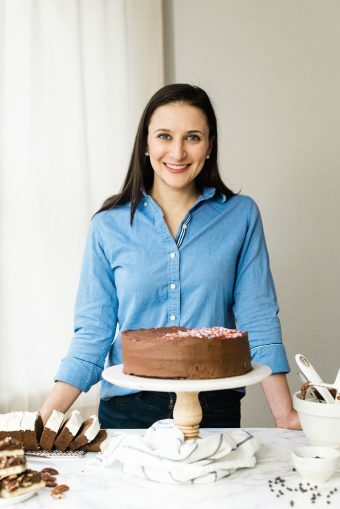 The process of making your own almond flour/meal is exceptionally easy: simply pulse whole, raw almonds (with or without skins) in a high powered blender (like a Vitamix) or food processor (like a Cuisinart) until it reaches a uniform, fine power. Note: I’ve also heard of people using a coffee grinder, but then you have to worry about your almond flour tasting like coffee, and you have to make tiny batches at a time, so it seems like that might not be the best way. As tedious as the pulsing can be, resist the temptation to leave the machine running to get your almonds to a flour consistency more quickly, because chances are that you’ll end up with almond butter instead. With some patience and a close eye on your machine, you’ll have homemade almond meal in no time! 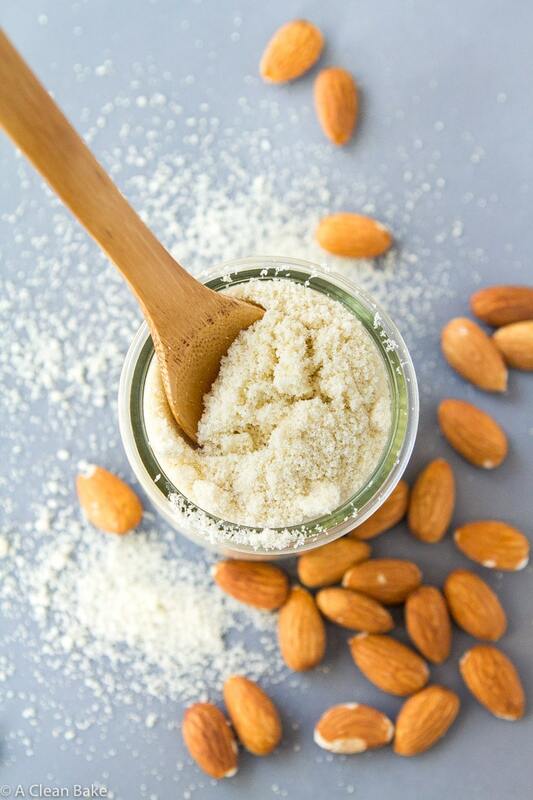 Store your homemade almond flour in an airtight container in the fridge or freezer for up to 2 months. If you’re trying to make a particular amount for a recipe, 2:1 yield is a good (approximate) assumption – i.e. 2 cups of almonds makes around 1 cup almond flour. 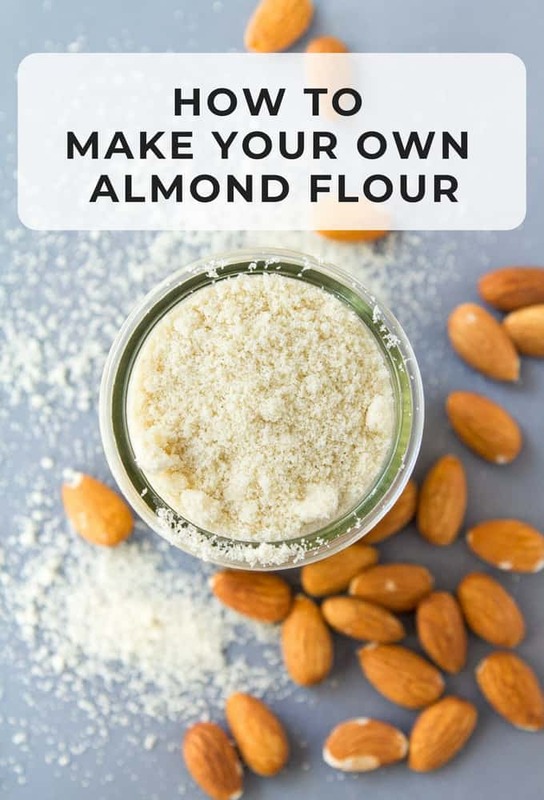 Almond flour is a great alternative flour for a gluten free diet, but it cannot be substituted 1:1 for coconut flour, rice flour, tapioca flour, cassava flour, all purpose flour, or any other kind of grain flour (I get this question all the time). If you’re looking for a substitution, the only flour that may work – and I say “may” because it may not hold for every recipe – is cashew flour, which you can get online. Plus, check out this post to read more about using almond flour in your kitchen!